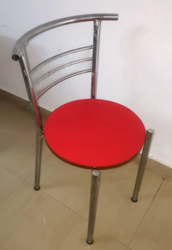 Chair made of 1 round pipe staneless steel. In the back has 3 wire. 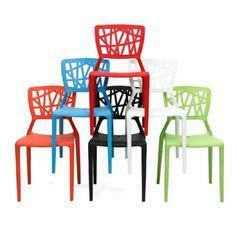 Café Chair, without Arm, PP Seat Shell, Chrome Plated Pipe Frame. Only Table Restaurant Table, S.S Pipe Frame Chrome Finish Black Toughened Glass 12mm Thick.